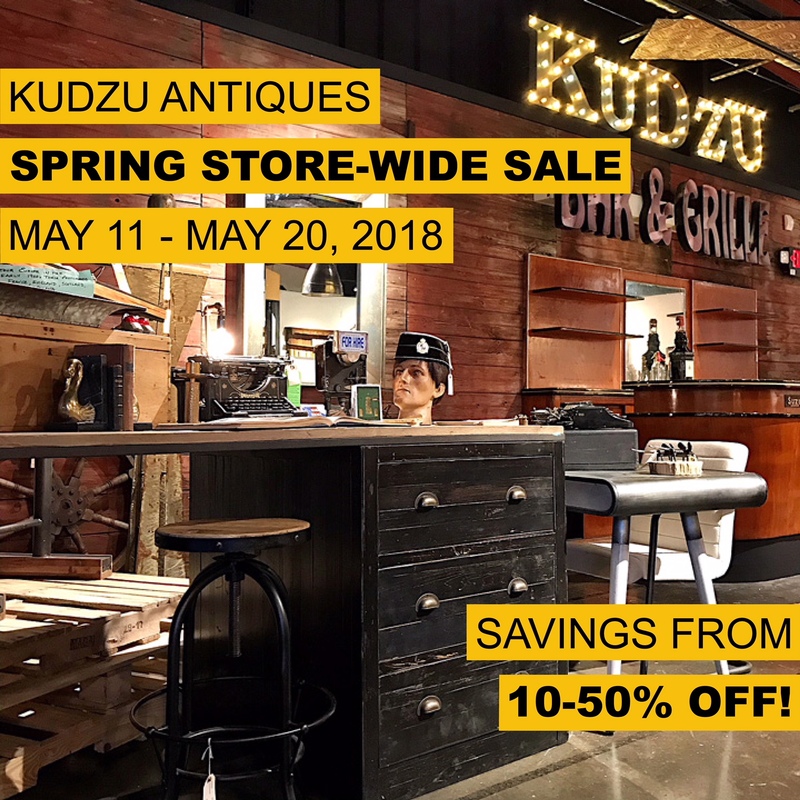 You are here::Home/Event/Kudzu’s Storewide Sweetheart Sale! Please join us for our STOREWIDE SWEETHEART SALE starting Monday, February 11 – Sunday, February 24, 2019. 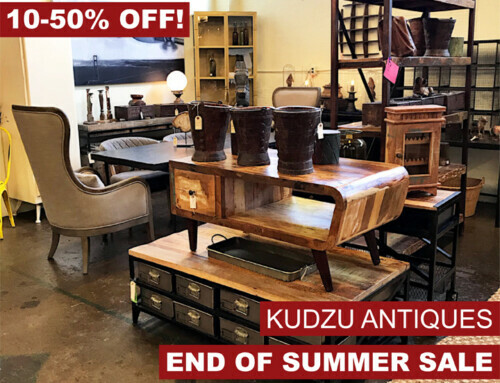 Savings up to 50% off on 1000’s of items all throughout the shop. You’ll find wonderful options for every style and taste, whether it’s Industrial Chic, MidCentury Modern, Shabby Chic, Farmhouse Style, Eclectic or Vintage. 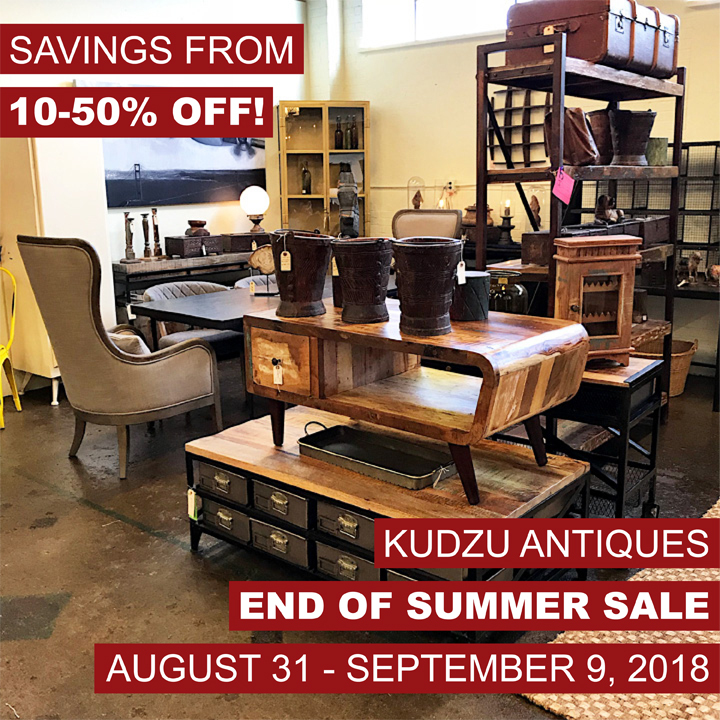 Custom upholstery lines on sale, too! 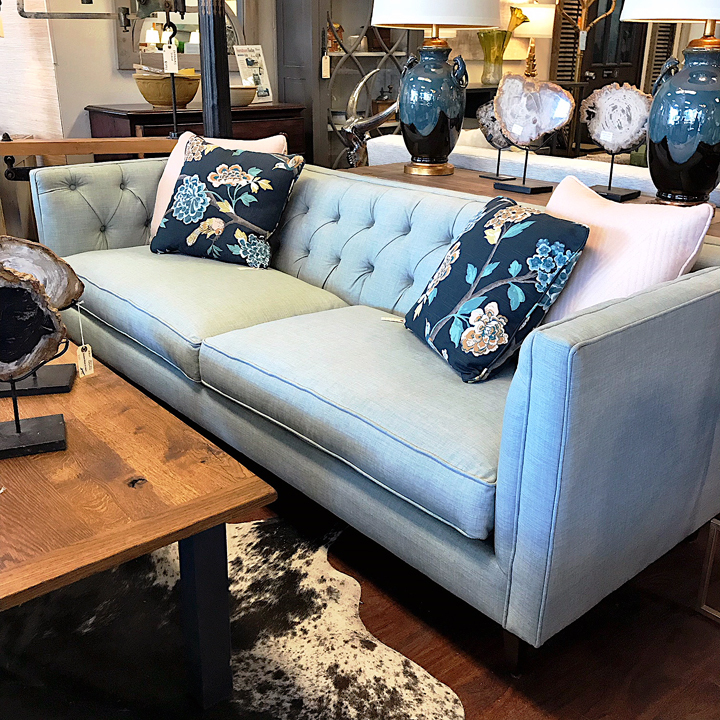 Save up to 40% off MSRP on made in USA Rowe/Robin Bruce sectionals, sofas, chairs and ottomans. 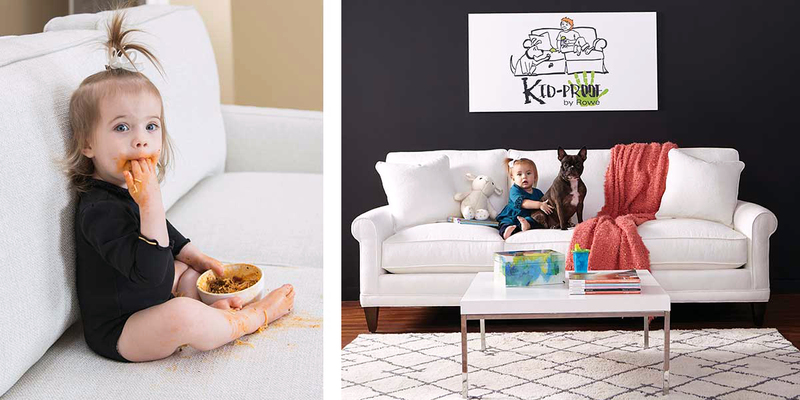 Hundreds of frame and fabric options to choose from including Kid & Pet Friendly fabrics! 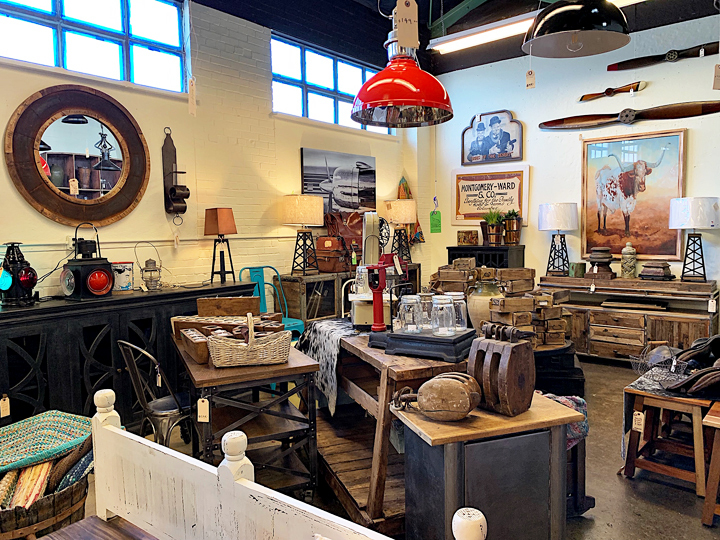 We’re open daily from 11 – 7. 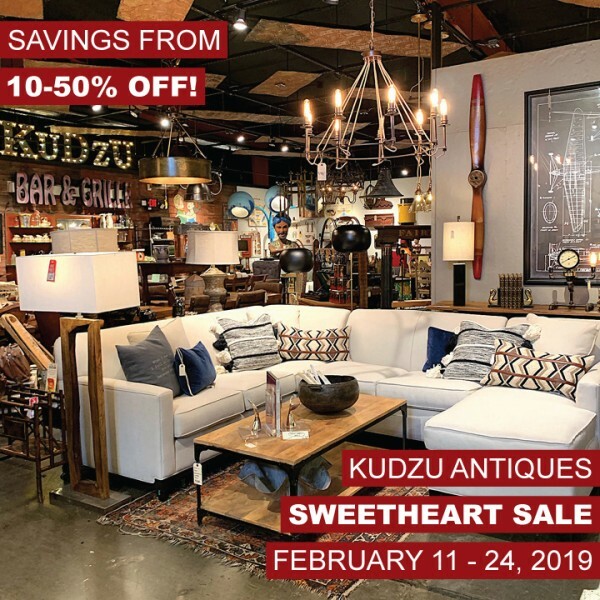 By Kudzu Staff| 2019-02-10T12:41:15+00:00	February 10th, 2019|Event|Comments Off on Kudzu’s Storewide Sweetheart Sale!